Upon release Munkhbayar said to journalists: I still feel that I was falsely charged. I will make a clear statement to the public and media that I was falsely charged. I have a goal that is to lead my country to the right direction and protect our land. 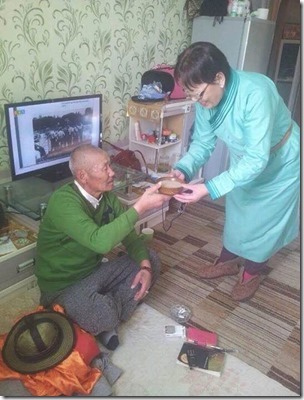 Right after he has been released Munkhbayar headed to his hometown in Dundgovi, where his spouse and children have been staying in their home town while he was in jail. Soon we expect Munkhbayar to come back to UB to attend a trial of the gold-miner, who falsely accused him and his friends for blackmailing and bribery. These additional accusations were proven false in original trial in January 2014. 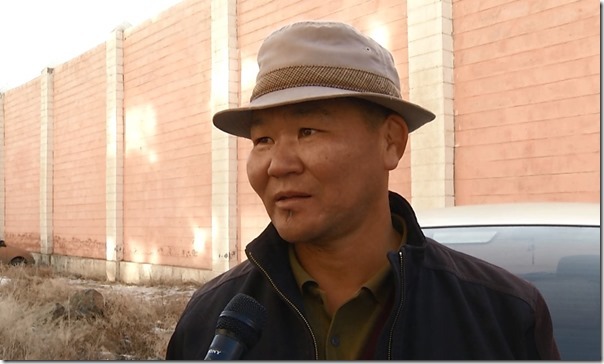 Two UMMRL members were released from the court room, but Munkhbayar and four his colleagues were still sentenced (cumulatively) to 88 year imprisonment for "eco-terrorism". Boldbaatar, Ganbold, Tumurbaatar and Munkhbayar by now have been released from jails on amnesty, but Dashtseren died last year from cancer which was exacerbated by harsh jail conditions. In February 2015 Great Khural of Mongolia passed amendments to implementation guidelines for the "Law on prohibition of mining in waters sources, water protection zones and forest areas" (The Law with Long Name -LLN). Protected zones shrunk, communities were excluded from their delineation and many mining activities restarted. Onggi River in Munkhbayar’s homeland no longer reaches its delta due to revival of rampant mining. The court hearing for Munkhbayar’s defamation lawsuit is scheduled in Nov 23, 2015. On the same day UMMRL will hold its annual meeting of members on the same day.